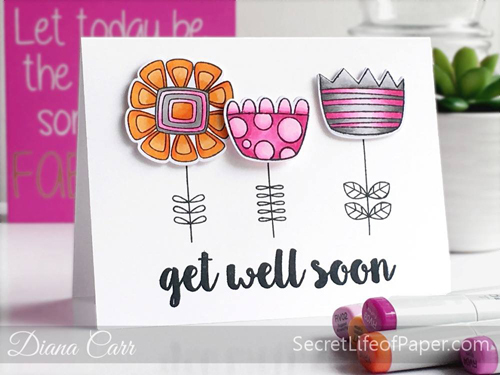 Diana created this get well card for an ailing aunt. Doodled Blooms features irresistibly fun florals that are perfect for some creative color play. Her orange, pink, and grey palette is sure to bring some cheer! Would you just check out Amy's coloring? Those eyes draw you in — simply Mermazing. 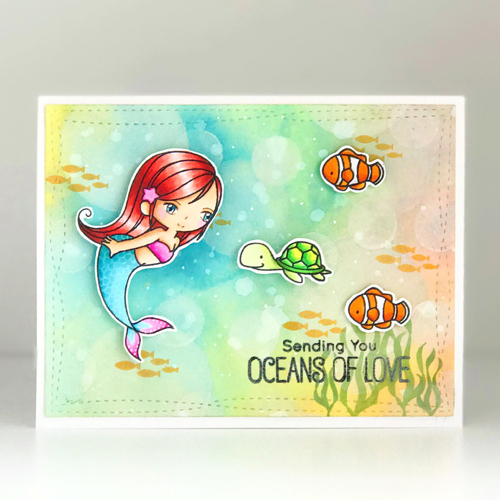 I'm enchanted by the swirling colors she's used to create the background and completely charmed by her characters. Natasha's card is so sweet in its simplicity. 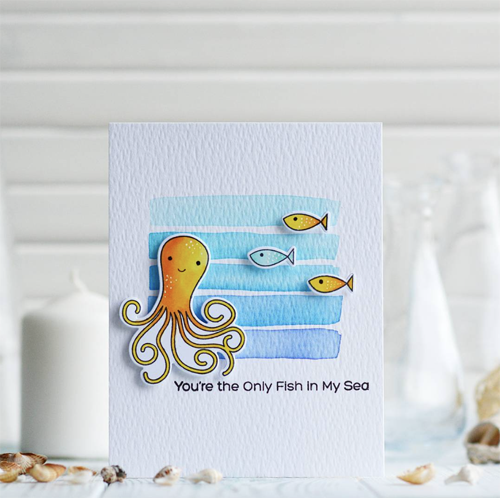 I can see using that simple watercolor stripe backdrop technique for so many themes and occasions! Her pretty palette of blues is the perfect complement to her Ocean Pals though. Sweet Safari features SIX sweet animals but Jannie chose to focus on the giraffe. 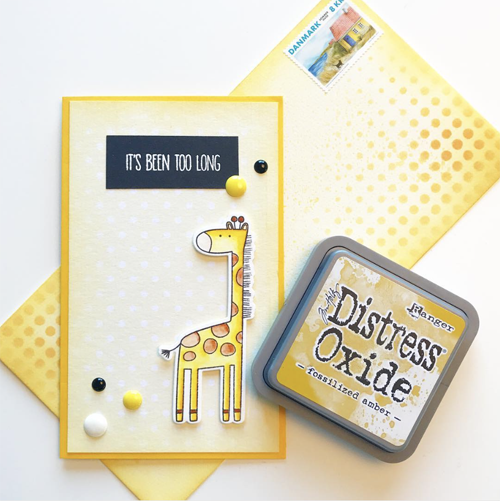 He stands alone on this striking look that also features a beautifully coordinated envelope. Come fly away with YoonYoung and her darling Up in the Air look. Her layering skills and pattern-mixing abilities are on full display. 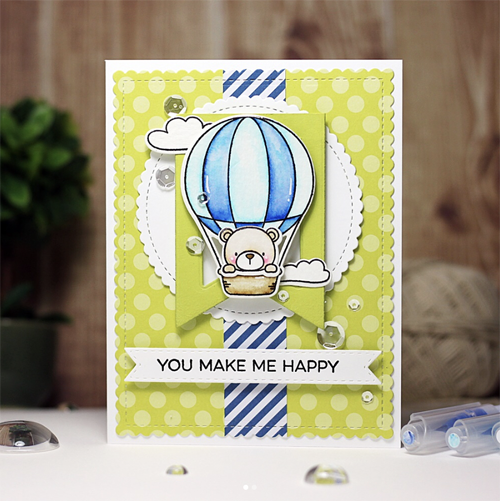 I'm inspired by that monochromatic coloring of the hot air balloon as well! Congratulations to each of you for being spotted! Your cards are delightful. Thanks for sharing your creations and thanks to MFT for spotting them to share!